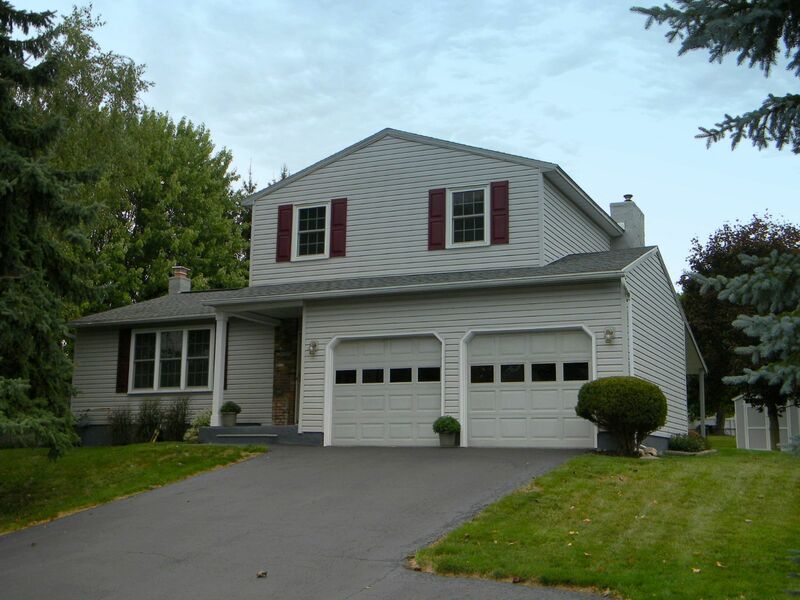 Baldwinsville Real Estate - Contact Bob McTague at 315-882-6610 – 8327 Azimuth Drive, Baldwinsville, NY – Welcome Home! This move in ready 3 bedroom home is located in the desirable "Kimbrook" subdivision. The first floor features a formal living and dining room, an eat-in kitchen, a spacious family room with a gas fireplace, and a half bath. The second floor provides a master bedroom, 2 other spacious bedrooms, and a full updated bath. Some of the major updates include a newer roof, A/C, gas fireplace and mantle, , windows, furnace, and some appliances. The exterior offers a large yard, shed, deck, and a 2 car garage. Centrally located to schools, shopping, parks, and major highways. Great opportunity!